She's feeling fine now, but not long ago, a minor illness turned into a major concern. 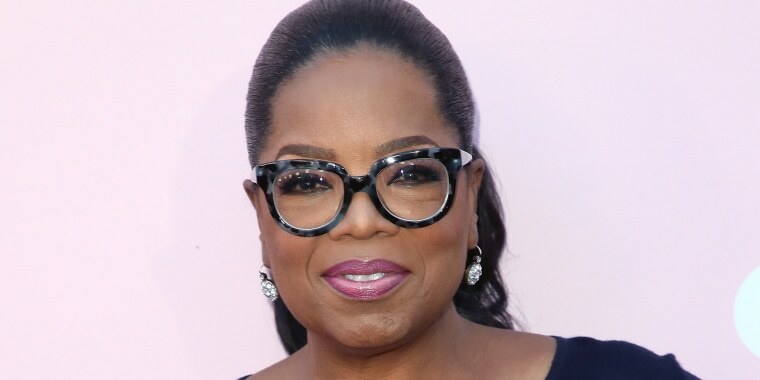 A recent Friday morning went from routine to worrisome when Oprah Winfrey's breakfast came with an side of sudden pain. In the new issue of the media mogul's magazine, O, Winfrey opens up about the short-lived health scare that left her with a few lessons to last a lifetime. "Standing at the stove, stirring scrambled eggs in a skillet, I turned to get a pinch of salt and noticed a bit of soreness in my neck," the 64-year-old explained. "The area under the left side of my chin felt tender. In the mirror, I could see it was swollen. By the time I finished making breakfast, the swelling had increased. It looked like a goiter that had come out of nowhere. " So she did what so many people do when they're feeling ill — she turned to Dr. Google. "I immediately Googled 'swollen lymph gland causes,'" she recalled, noting, "None of the results was good." Which, in retrospect, led her to her first two lessons: Don't do a search for your symptoms — but if you do, don't panic! Of course, at the time, she was terrified while she waited to see a doctor. "For the next four hours, I thought the worst," Winfrey admitted. "Why would a neck suddenly swell? Maybe it wasn’t sudden. Maybe whatever it was had been growing for days, or longer, and I only now noticed." And by the time the internist saw her, she added, "I was prepared for the doctor to say, ‘I’m so sorry, Ms. Winfrey, you have 'insert terrible disease.'" But despite her Google results and her own growing fears, which she said drove her blood pressure up, that's not what happened. "What she actually said was, 'I think your salivary glands are blocked. Go home, drink plenty of water, and try sucking on some lemons to stimulate your salivary ducts.'" The solution was a simple one — so simple, that Winfrey didn't believe it. She said she was ready to "rearrange my life to deal with whatever this was." However, a second opinion that same day confirmed the diagnosis and the treatment. And soon — after a whole lot of lemons — she felt fine again. Winfrey, who said she hasn't even had a cold since 2015, had never given any thought to her salivary gland before or how a minor issue with it could cause what seemed like major symptoms — or how an easy treatment could set everything right again. That's when the last and most important lesson hit her: "Our bodies are amazing." "And too often we are not grateful for their perfect functioning, balancing bacteria and enzymes, managing blood flow, thrumming the sinus rhythm beat, beat, beat of our hearts day in, day out," she said, noting for the magazine's November issue that it's something to truly be thankful for.